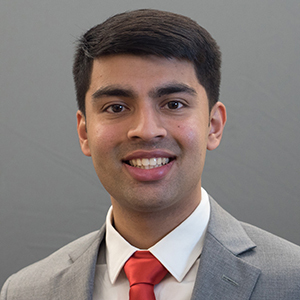 This honoree has been involved in various student organizations throughout their time at Rutgers and currently serves as President of two organizations, Sigma Beta Rho and the Rutgers Desi Intercultural Youth Association (DIYA). He has led his organizations in community events that serve not only the Rutgers campus but also the larger New Brunswick community. In addition to these positions he participated in the Aresty Research Center Research Assistant Program, volunteers as an EMT in his hometown and serves as a volunteer at Robert Wood Johnson Medical Center while maintaining a strong GPA in his biological sciences major on the pre-med track.